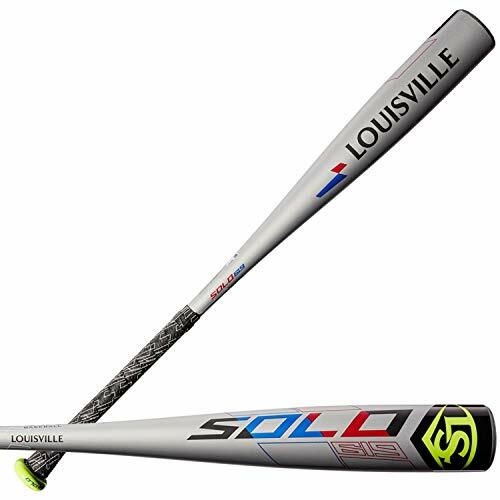 Louisville Slugger 2019 Solo 619 (-11) 2 5/8"
When you need to come up with a big hit, this is the bat for you. The solo 619 (-11) 2 5/8 inch USA Baseball bat is one of the lightest-swinging bats in the 2019 Louisville Slugger USA lineup, making it the ideal choice for players looking to square up some high heat. A one-piece SL Hyper alloy construction lends a stiffer feel and maximum energy transfer on contact. A speed ballistic composite (SBC) end cap helps further increase swing speed and bat control and the all-new Louisville Slugger Pro comfort grip gives you the perfect mix of tack and cushion. Don't miss your pitch. Make every swing count and choose your bat from the most trusted lineup in the game: Louisville Slugger. Louisville Slugger 2019 Solo SPD (-13) 2 1/2"
Square up the high heat.The Solo SPD (-13) 2 1/2" USA Baseball bat is the lightest-swinging bat in the 2019 Louisville Slugger USA Baseball lineup, making it ideal for players looking for some additional bat speed. 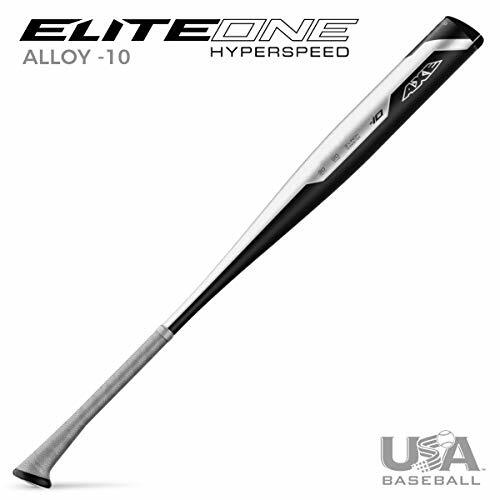 A 2 ½” speed barrel is made of an SL Hyper alloy – for a stiffer feel and maximum energy transfer on contact. A Speed Ballistic Composite (SBC) End Cap helps further increase swing speed and bat control and the all-new Louisville Slugger PRO Comfort Grip gives you the perfect mix of tack and cushion.Don’t miss your pitch. Make every swing count and choose your bat from the most trusted lineup in the game: Louisville Slugger. Made from our premium Mantic Alloy, the one-piece Element delivers the stiff, yet responsive feel hitters prefer. Featuring our Hyper Whip End Cap for speed, and new Endogrid sting-stopping Axe Handle technology. Features a 2-5/8″ barrel. 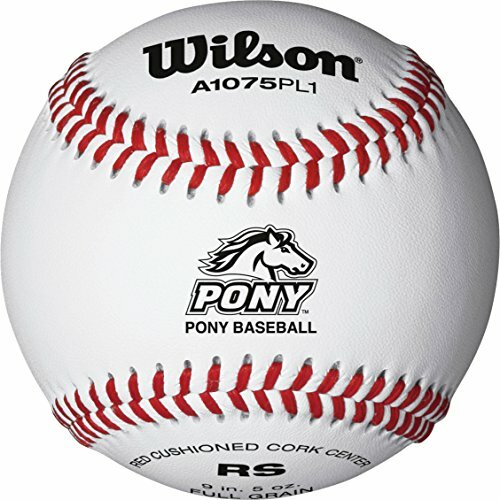 The Wilson Pony League raised seam baseball gives your game an edge with a ball that stays more energized during bat/ball collision. Raised seams are 20% higher than Wilson flat seam baseballs to give pitchers and fielders better grip and accuracy. Comes in a 12-pack. 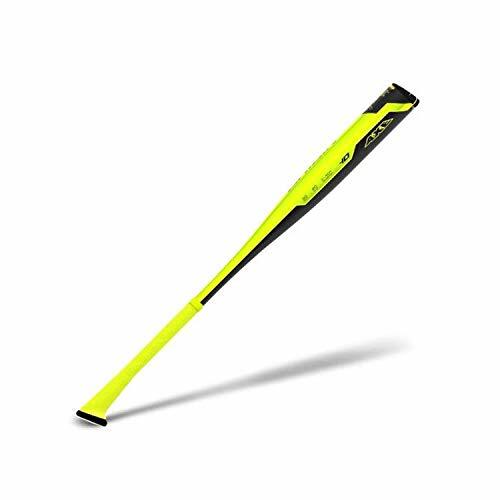 DeMarini 2019 Voodoo One Balanced (-10) 2 5/8"
The 2019 Voodoo one balanced (-10) USA Baseball bat is crafted for Youth players looking for a bigger hitting surface on a balanced stick. 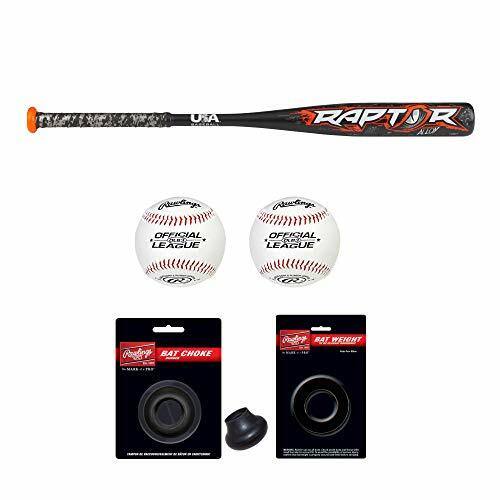 The X14 alloy construction, 3Fusion end cap and XLite knob design all contribute to an insanely balanced one-piece bat. Unlock the full potential of your swing by switching to Axe Bat. 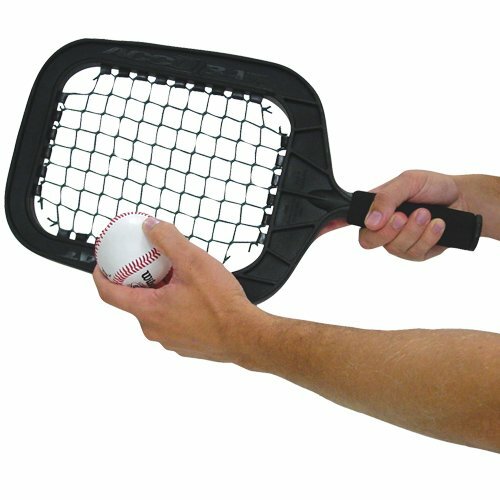 The patented Axe Handle fits perfectly in your hand, giving you a more stable grip, and allowing you to swing faster with more barrel control. With Axe Bat's 270-degree Engineered Hitting Zone, you'll get maximum performance and unmatched durability without ever needing to rotate your barrel. Additional benefits come from the angled HyperWhip End Cap, which removes unnecessary weight at the tip of the bat for more speed, a bigger barrel, and a larger sweet spot. Shock-absorbing Endogrid technology built into the handle, meanwhile, reduces vibrations for a smoother, more comfortable swing.Who's it for: Players looking for honest, responsive feedback from a 1-piece construction and/or those who prefer a slightly end-loaded swing weight for maximum power. 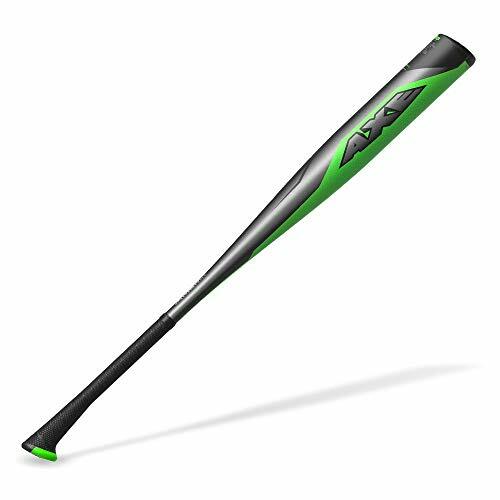 Louisville Slugger 2018 Select 718 (-5) 2 5/8"
Louisville Slugger's new Select 718 (-5) 2 5/8" USA Baseball bat was built for power. It comes with a Hybrid construction - ST 7U1+ alloy barrel, a full composite handle and a new Speed Ballistic End Cap for maximum momentum and power on contact. The TRU3 construction helps reduce vibration and provide unmatched feel upon contact. 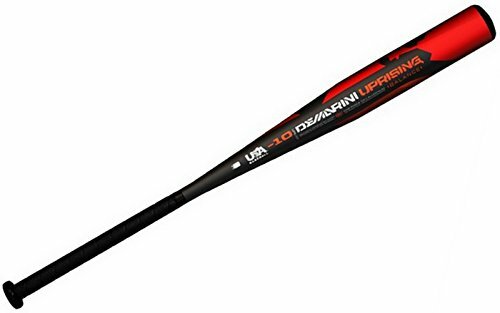 Wilson Sporting Goods 2018 Uprising (-10) 2 1/2"
The DeMarini Uprising (-10) 2 1/2 inch USA Baseball bat is the perfect bat for players competing in a USA Baseball League. With an extra long barrel, ultra light swing weight and DX1 alloy one-piece construction it's built for performance. The proven performer returns in the Junior big barrel model, with an imx advanced composite barrel that maximizes the sweet spot for maximum performance. I.
Louisville Slugger 2019 Select 719 (-10) 2 5/8"
The new Select 719 (-10) 2 5/8" USA Baseball bat brings the power to keep your game going. 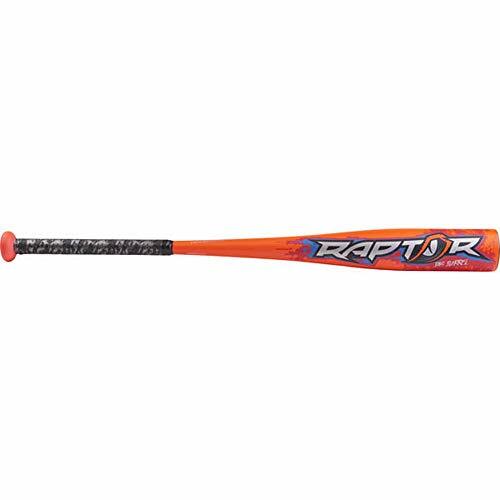 This two-piece hybrid bat features a ST&U1+ alloy barrel and composite handle for maximum durability and power. 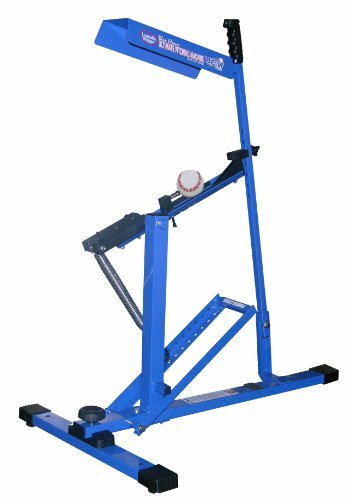 An SBC (Speed Ballistic Composite) end cap provides increased swing speed and maximum control while patented VCX Technology allows for independent movement between the barrel and handle while controlling vibration and providing unmatched feel on contact. VCX Technology creates a feel unique to both power and contact hitters alike. 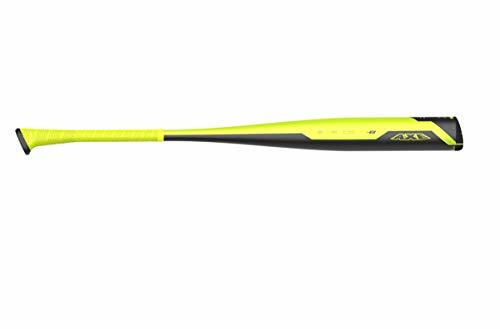 The (-10) version of this bat is perfectly balanced for the elite youth hitter looking to make contact for power at the plate. Don't miss your pitch. Make every swing count and choose your bat from the most trusted lineup in the game: Louisville Slugger. 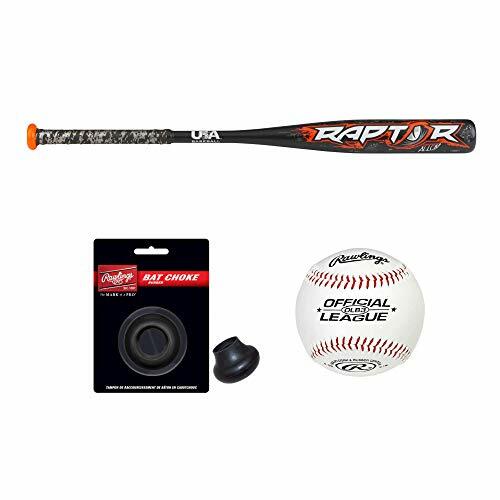 Compare prices on Pony League Baseball Bats at LiveSaler.com – use promo codes and coupons for best offers and deals. We work hard to get you amazing deals and collect all avail hot offers online and represent it in one place for the customers. Now our visitors can leverage benefits of big brands and heavy discounts available for that day and for famous brands. We try to makes comparison shopping easy with Product Reviews, Merchant Ratings, Deal Alerts & Coupons. Find Deals, Compare Prices, Read Reviews & Save Money.